Tyne Daly is set to return to Broadway this May as the late great soprano Maria Callas in the first Great White Way revival of Terrence McNally's Tony Award-winning Best Play from 1996, Master Class. Daly received accolades when she performed in this new Stephen Wadsworth-helmed revival first staged at Washington's Kennedy Center earlier this year. Since only a casting notice has been issued for Broadway, there is no further word at this time as to which, if any, of Daly's DC co-stars may make the transfer. While Playbill has stated that the production will arrive on Broadway in late May -- too late for 2011 Tony nomination consideration -- it has only surmised that the play will be housed at Manhattan Theatre Club's (MTC) Samuel J. Friedman Theatre. 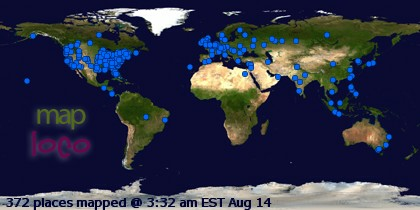 There has been no confirmation by MTC. 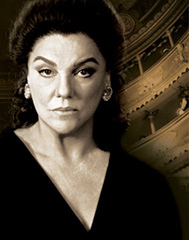 Tony winner for Best Play, Master Class stars Emmy and Tony Award–winning actress Tyne Daly as Maria Callas. The play is a portrait of the opera diva told through her recollections of the glories, triumphs, and tragedies of her own life and career. Her voice is gone, her lover is long departed, and her sanity could possibly be next. All she has is a lonely itinerary of master classes and luggage packed full of the memories that are her only travel companion. Her students are the hapless targets of her sharp tongue, while she remains the picture of innocent aristocracy. Master Class shows that while the actress may have left the stage, she will never give up her audience. Under Leonard Foglia's direction, Master Class first played Broadway in a lengthy 598 performance run, opening at the John Golden Theatre November 5, 1995, and closing June 29, 1997. Zoe Caldwell earned Tony and Drama Desk Awards for her turn as the opera diva. Audra McDonald won a Tony for her portrayal as Sharon, while Karen Kay Cody earned a Theatre World Award as Sophie -- her only Broadway credit. Other cast members included David Loud, Jay Hunter Morris and Michael Friel. The $64,000 question is whether a revival presented as part of a subscription series (meaning it would have a limited run) and that opens after this season's Tony nomination cutoff will even be remembered a year later for the 2012 Tonys. If Daly provides a Master Class in acting, it just might have a shot. In keeping with the Federal Trade Commission (FTC) regulations that unfairly discriminate against bloggers, who are now required by law to disclose when they have received anything of value they might write about, please note that I have received nothing of value directly in exchange for this post.